The level of scholarship happening at Richmond continues to garner national attention, and the innovative projects emerging out of our Digital Scholarship Lab make it especially easy to better understand our country’s history. The DSL has such a strong reach — on campus and beyond — that a recent project, Mapping Inequality: Redlining in New Deal America, has been included in the American Library Association’s annual list of Best Historical Materials. 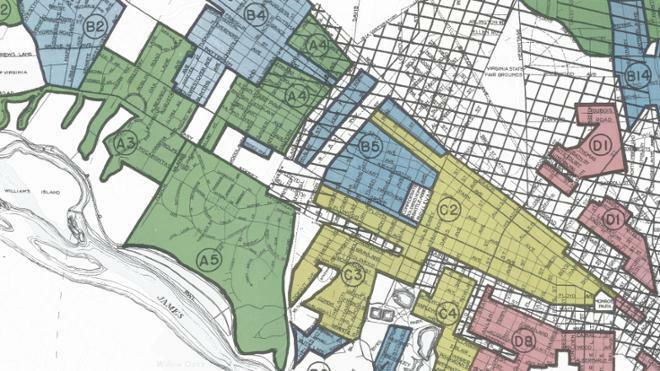 “The information displayed on the site helps users interpret redlining’s impact on urban neighborhoods and the current economic conditions of their city,” said Amanda Wahlmeier, a representative from the review committee. We are so proud that one of our projects is being accessed by so many!